Softcue is a cue light system, which brings the technology of lighting and sound systems to the theatre’s prompt corner. 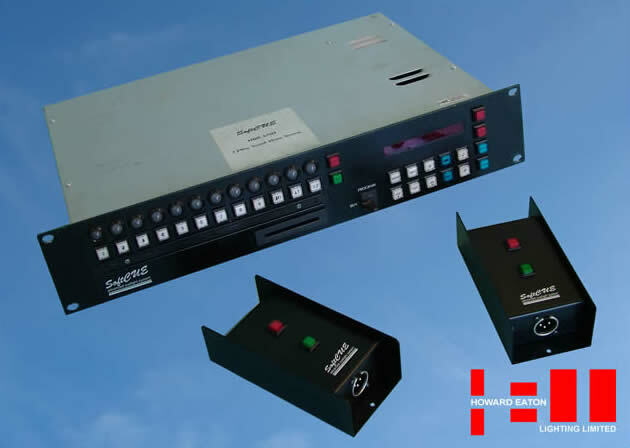 Whilst the system can be used in conventional mode using “Standby” and “Go” switches, Softcue has the unique advantage of being a memory system with total recording, playback and fault reporting facilities. Shows can be recorded via simple key sequences that allow full recording, playback and review for up to 48 cue light outstations and up to six shows. Memory cards provide secure data storage and portability. An integral clock allows show timing and accurate cue sequencing. Originally designed as a compact 2U rack-mount system for ease of touring, Softcue is fitted with an auto-sense switched mode power supply, allowing international use. It is now installed on many West End musicals, and in venues worldwide. Information supplied in these pages is believed to be accurate however, Howard Eaton Lighting Ltd cannot accept any responsibility for any losses as a result of information derived from this site. Errors & Omissions Excepted.